Echinacea pallida is an herbaceous perennial. This species is related to Echinacea angustifolia, and is the only known polylpoid in the Echinacea genus. While the two look similar, E. pallida has white pollen while E. angustifolia has yellow pollen. E. pallida is also typically larger overall. 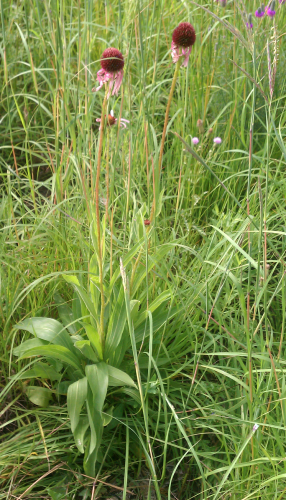 While it is not native to Douglas County, Minnesota, E. pallida was planted in at least one restoration in the county. Flowering phenology. In 2011 the peak flowering occurred in July. 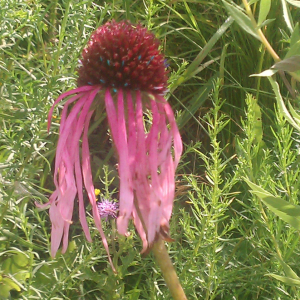 The USDA plant profile page for Echinacea pallida. Team-members who have conducted research on this species: Nicholas Goldsmith.